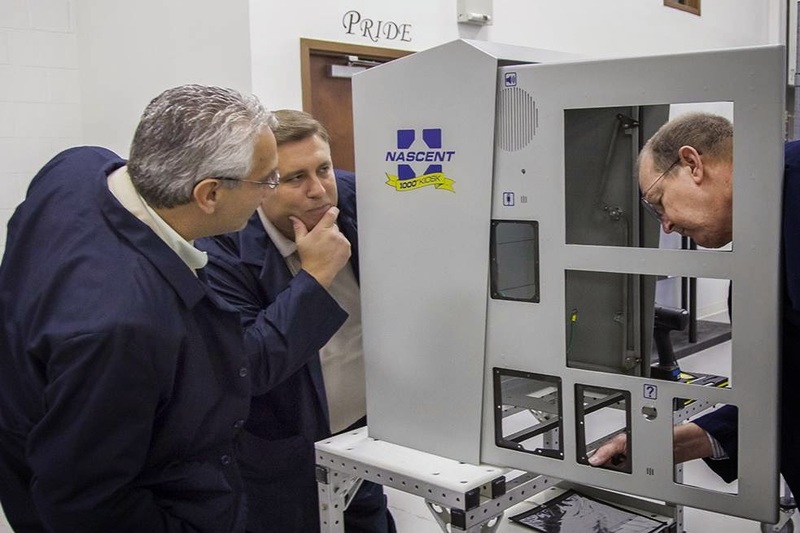 NASCENT Completes assembly of its 1000th AGS Kiosk! Charlotte, NC - October 23, 2014-- NASCENT Technology (NASCENT), the leading technology solutions provider to the Intermodal Transportation Industry, has announced that it has completed assembly of its 1000th Automated Gate System (AGS) Kiosk. The kiosk, nicknamed, 'Jimmy', is branded with a special, decorative, 1000th kiosk banner, and was signed by every NASCENT employee during the celebration. The formal dedication will be held later in the year to coincide with its delivery to the Norfolk Southern facility.